Genuine Czech military issue VZ58, similar to AK, double mag pouch in the MNS 2000 webbing system. 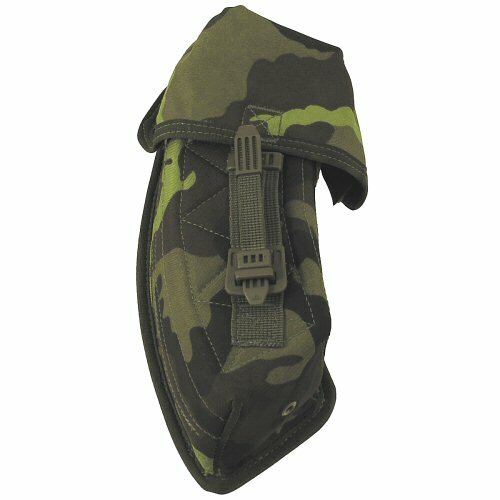 The pouch is in milspec ballistic polyester in Czech M95 camouflage. The pouch is curved to match with the curvature of the magazines. Overall height of pouch is 24cm, overall width is 12cm, overall depth is 8cm. The pouch lid wraps around front and sides of the body, and opens with Spanish fly type system. Silenced velcro is located on the sides of the lid. The pouch contains an internal divider which keeps the magazines separated from each other and reduces rattling. The pouch front, divider and back have an enclosed stiffener that keeps the pouch shape, and the sides of the pouch are padded with lightweight enclosed foam. The bottom of the pouch has two drainage holes, one on each side of the divider. The rear of the pouch has two belt loops mounted, each capable of being opened fully to accomodate a 5cm (2in) wide PLCE belt. Each loop is made from 25mm (1in) webbing that is threaded through a plastic loop and doubles over itself. Behind the plastic loop is a plastic T-bar that can be deployed into the slots on the PLCE belt if required. This highly adaptable system can be fitted to many types of standard duty belt. This high quality pouch, from genuine Czech military surplus, is in excellent condition and can be easily brushed clean. 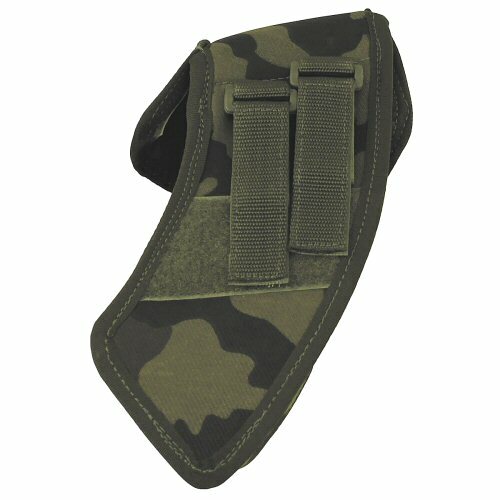 The rear of the pouch has two belt loops fitted, and these are highly adaptable to many different duty belts.